Croatia midfielder Luka Modric beat Cristiano Ronaldo and Antoine Griezmann to win the 2018 Ballon d'Or. Modric led his country to a first ever World Cup final in Russia last summer, and was also a key memeber of the Real Madrid team that completed a Champions League three in-a-row last May. 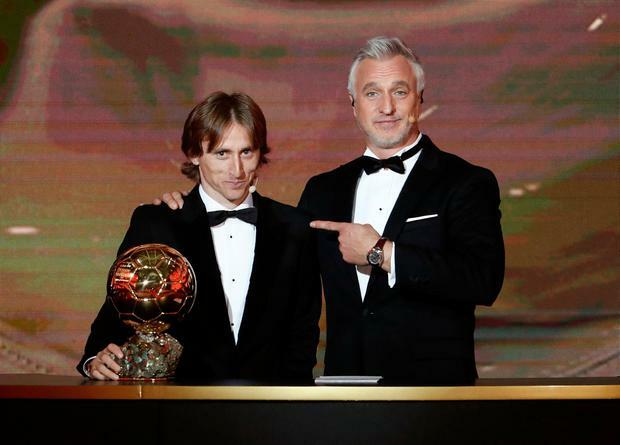 Modric was so influential in 2018 that he was able to end Ronaldo and Lionel Messi's ten-year stranglehold on the award. Ronaldo and Messi claimed five Ballon d'Or trophies each over the last ten years, but this year Ronaldo had to settle for second place while Messi finished fifth. France and Atletico Madrid star Antoine Griezmann came third, while French teenager Kylian Mbappe finished fourth. The 33-year-old, from Zadar in Croatia, joined Real Madrid in 2012 after four seasons with Spurs in the Premier League. He started his career with Dinamo Zagreb in Croatia, making his senior debut in 2003. Modric has been capped 118 times at international level, and won the Golden Ball for Player of the Tournament at the 2018 World Cup. The central midfielder also scooped the year's other big individual prize, the Best FIFA Men's Player award.